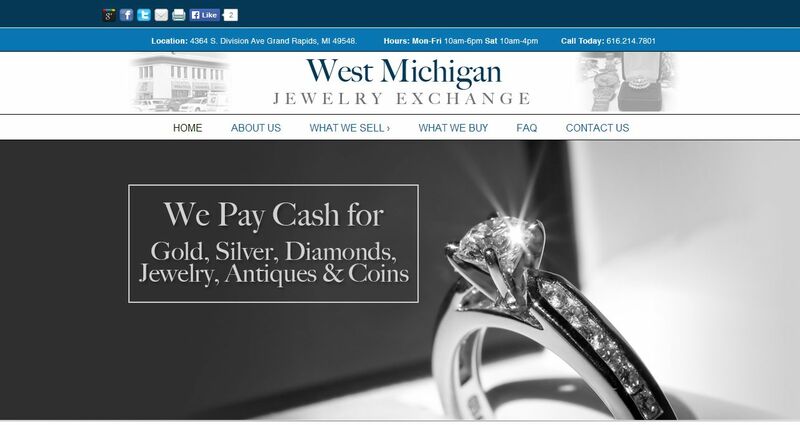 West Michigan Jewelry Exchange address, phone, website, hours of operation, and more. Our owner has been buying and selling gold and diamonds for over 25 years. Today, VJ owns and operates West Michigan Jewelry Exchange at the corner of 44th and division in Grand Rapids, Michigan. WMJE pays cash for your gold, unwanted jewelry, silver, platinum, coins, antiques, and diamonds, with free estimates gladly provided. Why leave it collecting dust on your dresser when you can trade it for cash?